Established within the foothills of northern Italy in 1948, Diadora originally produced mountaineering/hiking boots and equipment and then soon started to focus more on premium performance-based and trend-led footwear. 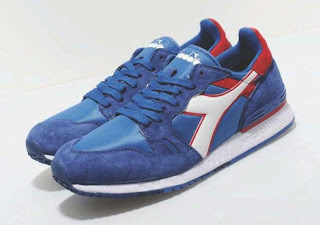 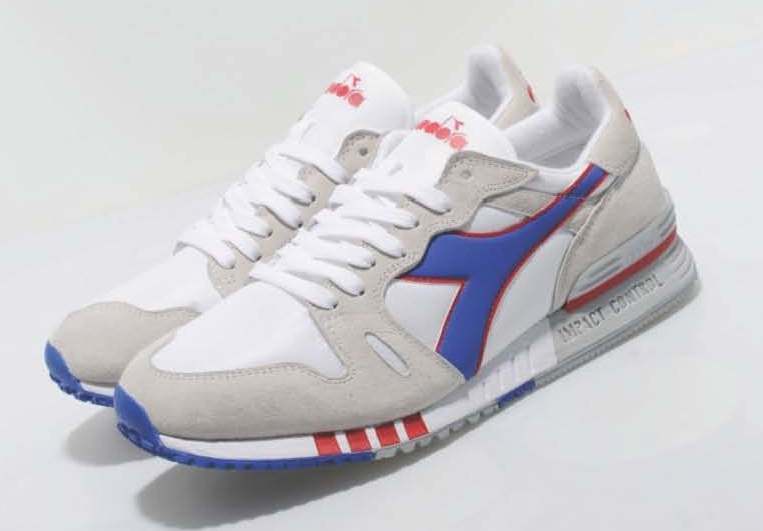 This exclusive Heroes is inspired by the brands technical excellence and classic Italian styling, and is presented with a mixed upper consisting of premium light grey suede, white lightweight mesh and bold side branding in blue and red. 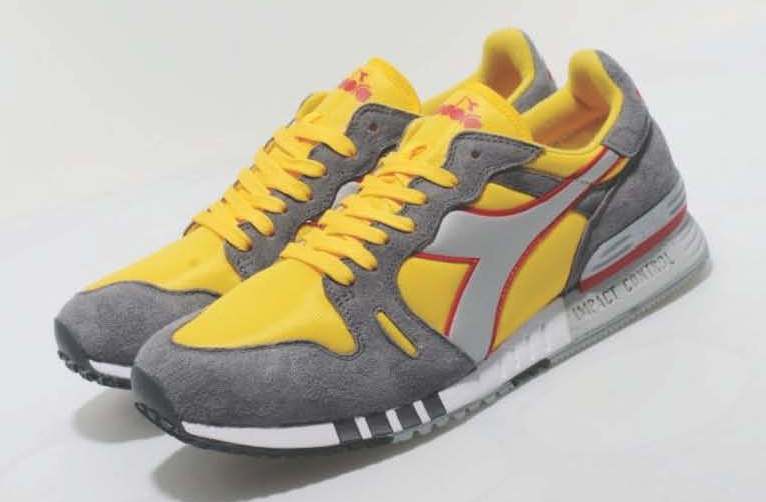 It also features a rigid heel support, a two-layered EVA foam sole with the brands famous Impact Control technology within the rear layer, and a soft towelled lined inner.